(Monrovia, July 3, 2018)- The House of Representatives has voted to pass into law a bill seeking the repeal of Anti- free Speech Legislations in Liberia. Presenting the outcome of a public hearing on the Bill titled, an Act to amend the Liberian codes revised, penal law of 1978, of the Republic of Liberia, the Chairman of the House Committee on Information, Hon. Jay Nagbe Sloh urged the plenary to pass the bill because its ideal promotes democratic culture. President George M. Weah in his resubmission of the bill has suggested as when passed by the legislature the Law will be known as the “Kamara Abdullai Kamara Act of Press Freedom. But Hon. Sloh argued that the former President of the Press Union can be honored through Presidential Investitures, naming of the Press Union of Liberia’s Headquarters under construction after the deceased free expression luminary. Montserrado County Representative, Hanson S. Kiazolu differed citing examples in the fields of Accounting and Economics. “I know the (kenician)…law existed because Henry Kings contributed to it. The …notation is a law in mathematics. He contributed to that law. So if Kamara A. Kamara contributed to the law, I think in the wisdom of the President, he should actually take the name. So I believe my colleagues should vote fort this law and the law carry Kamara A. Kamara name”, Hon. Kiazolu stressed. The discussion on the decriminalization of free speech offenses soon became solely about the significance of honoring fallen former President of the Press Union of Liberia, Kamara Abdullai Kamara after the bill. Grand Bassa County Representative, Vicent S.T. Willie joined those opposing the repeals being named in honored of Kamara Abdullai Kamara. For his part, Bomi County, Rep. Edwin Snowe intimated that apostrophe laws are spread across different jurisdictions and that President Weah selection of Kamara Abdullai Kamara is commendable. “I want to commend the Press Union and Mr. Kamara, may his soul rest in peace that with his advocacy and his fight for press freedom in Liberia, that this House today will take an action, championing Press freedom and remembering the good work of Mr. Kamara”. After all the disagreements and rejection of a motion for reconciliation, the House of Representatives voted to pass into the full force of the law, an Act to amend the Liberian codes revised, penal law of 1978. 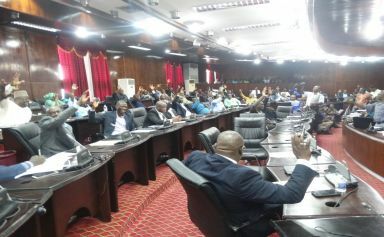 Meanwhile, the Press Union of Liberia has hailed the House of Representatives for the revolutionary work executed for the good of the Liberian Democracy. Press Union of Liberia, President, Charles Coffey told reporters that the lawmakers’ action is in right direction as the country attempts to honor its obligation on guaranteeing free expression. “We just want to hail the committee for the hard work for the passage of this Bill. We think it is in the right direction and that Liberia will now become a compliant to international convention as regard to media laws,” Coffey said. 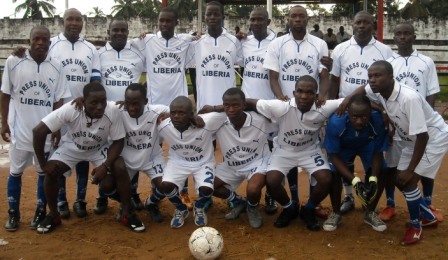 Liberia signed the Declaration of Table Mountain on 21 July, 2012 as a necessary step towards repealing laws that hinder press freedom and other rights to free speech in Liberia.